I shall have been taking piano lessons for full three years by May. 5월로 피아노를 꼭 3년 배우고 있는 셈이 된다. I want to read more books about science and history. 과학과 역사에 관한 책을 더 읽고 싶다. He has very highbrow tastes in music and literature. 그는 음악과 문학에 매우 고상한 취향을 갖고있다. I won by a close margin. I have been collecting stamps these six years. 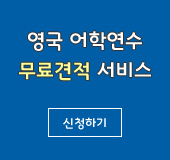 나는 근래 6년 동안 우표를 모으고 있다. I am busy and have no time to spare. 나는 바빠서 여가가 별로 없다. I am keenly interested in poetry. 나는 시에 매우 흥미를 갖고 있다. I have never met my match yet. My favorite sports is baseball. I like music (reading books) very much. I spent the morning reading books. 나는 책을 읽으면서 아침시간을 보냈다. I like Tim Burton's films. I played the computer game all day long. 나는 하루종일 컴퓨터 게임을 했다. I thought that I should buy my mother a gift. My hobby is taking photos. My favorite pastime is to watch videos at home. 내가 가장 좋아하는 여가 활동은 집에서 비디오를 보는 것이다. I found something that I liked and tried it on.